Not only has this campaign been a great success, but it’s a demonstration of our ability to react quickly and deliver the goods. UK Trade & Investment is the Government organisation that helps businesses to trade overseas, and supports UK presence at events such as Mobile World Congress, the global showcase for the mobile industry. 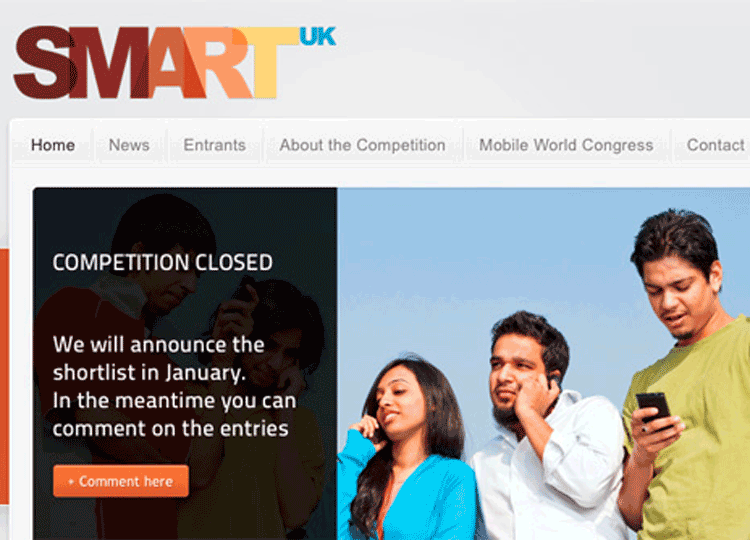 It was only at the last minute that funds were secured to launch a competition to find the UK’s most innovative mobile company, a programme run on UKTI’s behalf by PR agency XL Communications, with the top prize being a spot on the UKTI stand at Mobile World Congress 2012 in Barcelona. We had ten days to develop a name, brand identity and a website, complete with competition rules, in order that the programme could be promoted in a wide range of media. We expected to get about thirty entries. Result: Eighty entries were submitted, far exceeding expectations. Not only that but the competition demonstrated the richness and breadth of innovation in this sector, with entries being submitted from all over the UK.